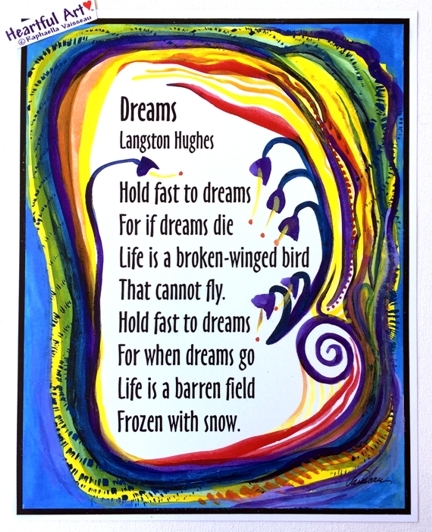 11x14 poster of Langston Hughes' "Dreams" poem with art of Raphaella Vaisseau: "Hold fast to dreams because if dreams die life is a broken-winged bird that cannot fly. Hold fast to dreams for when dreams go life is a barren field frozen with snow." Keep dreams alive. Take one step at a time. Live the life you're called to live.